Following the success with the artwork for Fear and Loathing in Las Vegas, P.E.I. 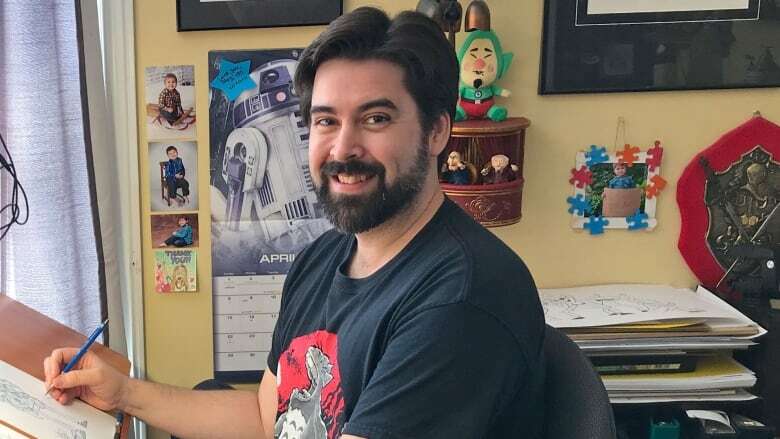 's Troy Little has snagged another hot gig — the four-part graphic novel Rick and Morty vs. Dungeons and Dragons. Following success creating the artwork for a new adaptation of Fear and Loathing in Las Vegas, P.E.I. 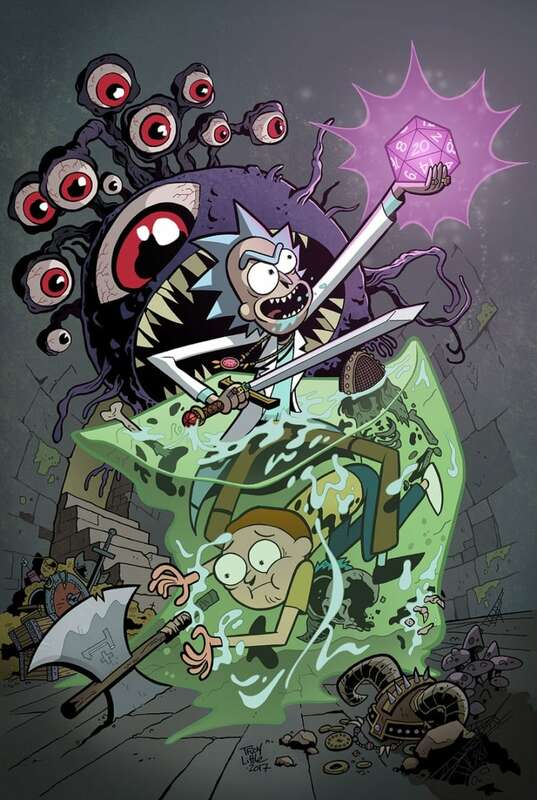 's Troy Little has snagged another hot gig: the four-part graphic novel Rick and Morty vs. Dungeons and Dragons. 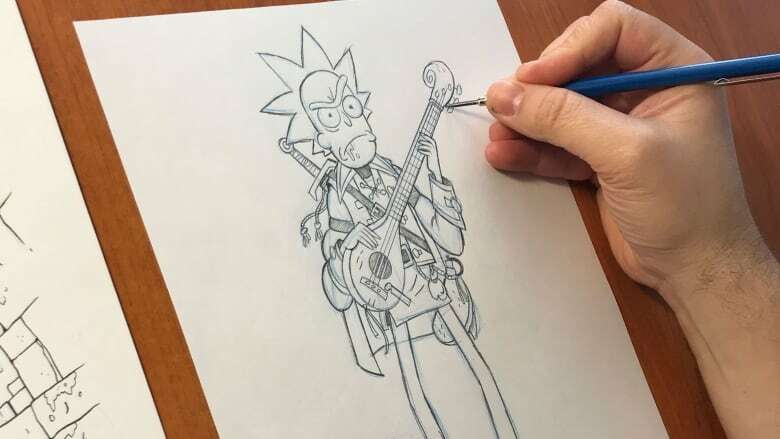 The Rick and Morty project was announced Sunday, delighting international geekdom with the merger of two of the their favourite things. Little said it was only due to delays in the project that he is getting to do it. It was supposed to be announced in the fall. "I was busy doing some story board work at the time. I said I could do some cover work for them," he said. Fear and Loathing graphic novel launches in P.E.I. "The project kept getting bumped and bumped and bumped until I finished my story board work and I said, 'Hey, guys if you need an artist for the interiors I'm available.' They said, 'Yeah, we're good to go.'" Jim Zub, a regular on D&D comics, and Patrick Rothfuss will be the writers on the series. "Patrick Rothfuss, I mean, the next George R. R. Martin fantasy novelist," Little said. "You throw the manic insanity of Rick and Morty into the Dungeons and Dragons world with these talented guys at the helm, and I get to play in their world. This is going to be great." And the high-profile projects keep coming. "Kevin Eastman, Ninja Turtles co-creator, approached me to work on his graphic novel Drawing Blood and his side project The Radically Rearranged Ronin Ragdolls," Little said. "I'm also working on that in tandem with the Rick and Morty pages." The project is semi-autobiographical, focused on what really happened with the Teenage Mutant Ninja Turtles money. 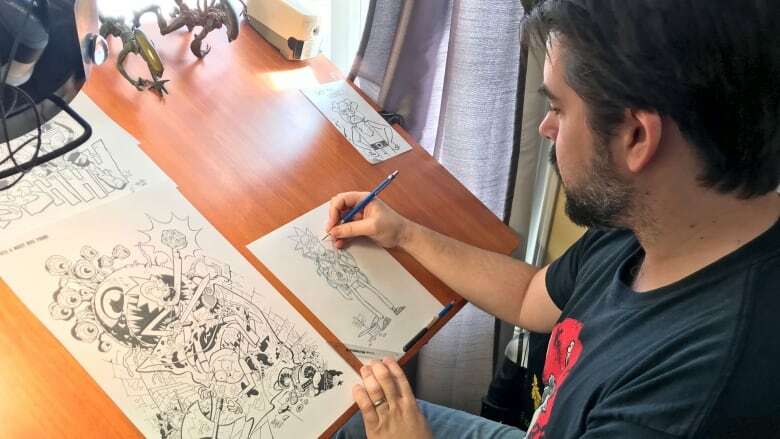 For Little, working in his studio in Charlottetown, surrounded by comic artwork and science-fiction- and fantasy-inspired toys, it can be hard to believe the level of work he is landing. "I couldn't be more lucky than to be working with cool people on cool projects," he said. "This is how I spend my time and my days? Are you kidding me? It's fantastic." Rally against amalgamation process in Three Rivers region, P.E.I.